Tired skin is a common problem among women these days. It can be caused by various reasons like changing weather, pollution, stress, low nutrition, late night jobs or sleep deprivation. This problem occur frequently in summers as the rising temperature can rob the moisture of your skin making it parch and flaky. 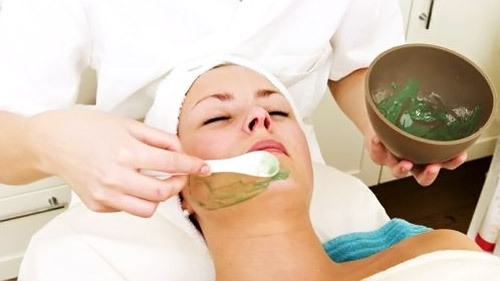 There are many chemical based beauty treatments available in market to revive your skin but when you tend to turn away from them when you their price tag. But there is no need to lose heart because you can get a fresh skin at no cost and in no time with your simple kitchen ingredients. Nature has given us so many ingredients to take care of our skin than once you start using them; you will never look at expensive beauty treatments. Cucumber is known for its cooling effect and it can do wonders for your dull and tired skin. It nourishes your skin, unclogs the pores, removes excess oil and soothes sunburnt skin. To make a cucumber face mask, take half cucumber and blend it in a food processor. Take it out in a small bowl. Add 1 tablespoon honey and 1 tablespoon ground oatmeal into the bowl. Mix all the ingredients to form a paste. Apply it on your face while massaging it in circular motion. Let it dry for 15 minutes and then rinse it off with cold water. Lemon and potato both are effective in reducing skin pigmentation and blemishes. These ingredients bring a fresh glow on your skin and rejuvenate it as well. Squeeze fresh lemon juice into a small bowl and add 1 tablespoon potato juice to it. Mix it well and apply it on your face with the help of a cotton ball. Let it dry for 15 minutes and rinse it off with cold water. Since lemon juice can make the skin dry therefore you should add a tablespoon of honey for moisturization. How do you feel when your favourite fruit will become your skin health saviour? Yes it true, these fruits can actually take away the dullness from your skin and replace it with young and radiant skin. You just need to blend these fruits together to form a paste and apply it on your face and neck area. Leave it for 30 minutes and then rinse it off with rose water. Oranges are loaded with vitamin C which is an essential vitamin for skin and yogurt is natural bleach. Both of these ingredients are packed with various nutrients which help in revival of your skin. Take 2 tablespoon yogurt in a small bowl and add 1 tablespoon orange juice. Apply this mixture on your face by massaging it with your fingers in a circular motion. Let it dry for 20 minutes and rinse it off with cold water. 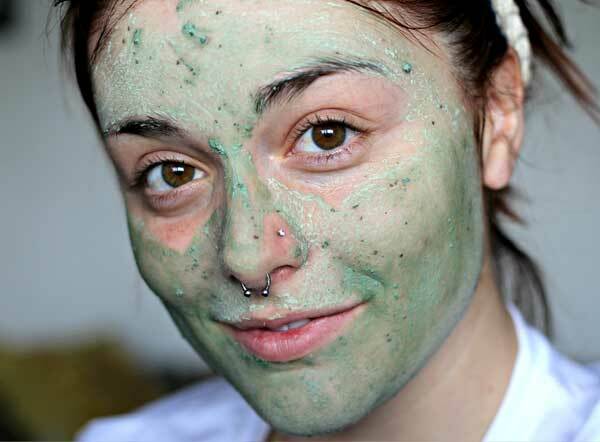 This is the simplest, quickest and effective face mask. Banana provides most of the skin required nutrients while honey moisturizes the skin and prevents any bacterial or microbial infection. To make this mask, you need to mash half of an overripe banana into a small bowl and add 2 tablespoon of honey to it, mix them together until it forms a consistent mixture. Apply this cool mak on your face and neck area. Leave it for 20 minutes or until it dries completely. Wash it off with cold water and pat dry. 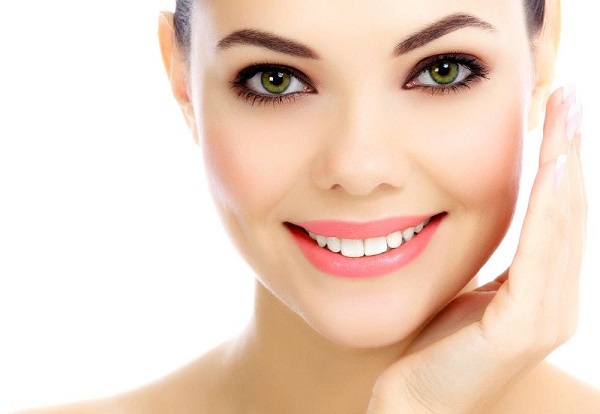 Milk cream is rich in protein which deeply nourishes the skin and brings out the fresh glow. This face pack will make your skin soft, supple and prevent any skin infection. To prepare this mask, you need 2 tablespoon gram flour, milk cream and pinch of turmeric. Mix them thoroughly to form a thick paste. Apply this mixture on your face and leave it for 15 minutes. Wash it off with lukewarm water followed by cold water and pat dry. A warm cup of coffee is the best way to wake up your body. A coffee face mask does the same for your tired skin by reviving it. It is rich in antioxidants which will make your skin young and radiant. Use this treatment twice a week for effective results. To use this face mask, you need 5 tablespoon of coffee, 1 tablespoon of honey and 1 tablespoon of olive oil. Mix them thoroughly and apply it on your face. Leave it for 30 minutes and wash it off with lukewarm water. You start feeling fresh since the word “mint” rolls on your tongue. It is synonym of freshness then what do you think about a mint face mask. This face mask removes the dirt and improves the skin tone by reducing sun tan and pigmentation. To prepare this mask, you need 2 tablespoon gram flour, curd of thin consistency and chopped mint leaves. Mix all the ingredients into a small bowl until it forms a uniform mixture. Apply this paste on your face and neck for 20 minutes. Wash it off with water and pat dry. Regular usage of this treatment makes your skin fresh and young.